Thinking about supplementary materials for God so loved the world/ God loves me etc. 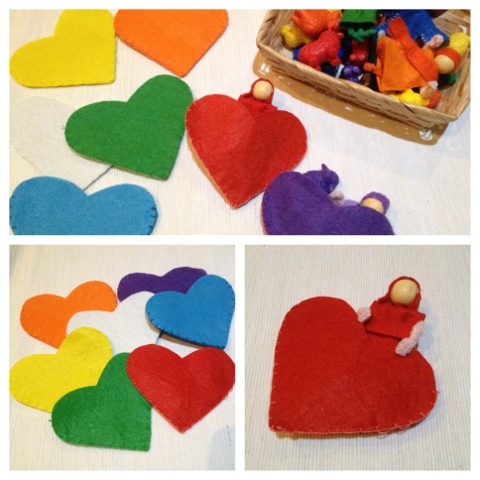 or any from the love themed stories/ passages in the Bible, I've made these heart pockets. They could be used to colour match people to (I may even make a set to coordinate to the Jesus loves the little children song, we currently have pictures of children dressed in those colours to accompany the song), to put little hearts inside, crosses, matching coloured sheep etc.